Almost three years ago, shortly after the Ebola outbreak in Liberia, ISGlobal launched a project to build health research capacities in the Saint Joseph’s Catholic Hospital (SJCH) in Monrovia, in collaboration with the Juan Ciudad Foundation. 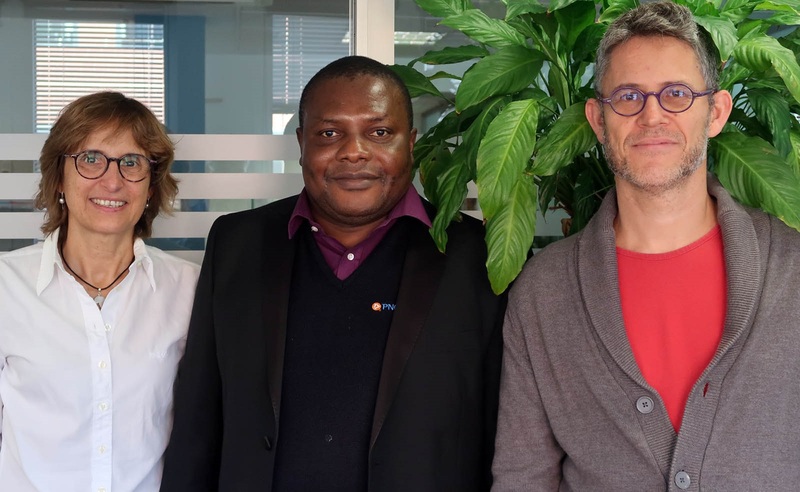 The SELeCT project, funded by the EDCTP, was a success and gave rise to a second capacity-building project (IGORCADIA), which is still ongoing and also funded by the EDCTP. In early November of this year, Br. Peter Dawoh, Hospital Director of St. Joseph’s Catholic Hospital visited Barcelona, Spain,to meet with the ISGlobal team, and to acquaint himself with the molecular amplification technique (PCR), that the hospital intends to implement. Speaking during an interview at ISGlobal head office in Spain, Br. Peter said “Until now, research for me was something in the clouds, unattainable. When I met with Alfredo’s* team, I came to realize that research is not only about generating knowledge, but seeing how this knowledge can help change the environment, the society, people’s lives. When they show me what they have done and how they have been able to influence people’s health, I feel very motivated to support the staff’s effort to implement research activities at the hospital”.